We’re still getting our spook on here at Always Uttori, albeit subtly. As Halloween marches closer, it’s time to start making final choices on costumes and that includes the makeup. I’m no MUA (Makeup artist), but I can appreciate the work and dedication some people put into preparing their Halloween make up. So, to be clear, I do not have the skills to pull off an elaborate Halloween look. I barely have the skills to do a daily look, as I rarely wear makeup. This look is for those of you who are going to a Halloween party where the only requirement is that you look attractive and appear to have taken it up a notch from normal to super cute. Is it lazy? Yes, but I’m okay with that. 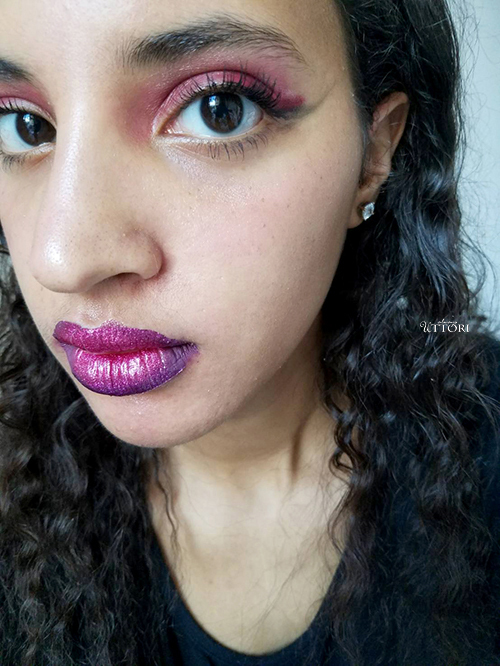 If you are makeup challenged like me, or you really just want to stop by the office Halloween party, say hello, and then go get a hamburger at the drive-through without scaring the cashier, this Lazy INTJ Girl’s Guide to Halloween Makeup is for you. First up on our lazy girl makeup guide is a lipstick applique (Temporary tattoo. There are three tattoos in each package). This makeup guide is not only lazy, it’s efficient. 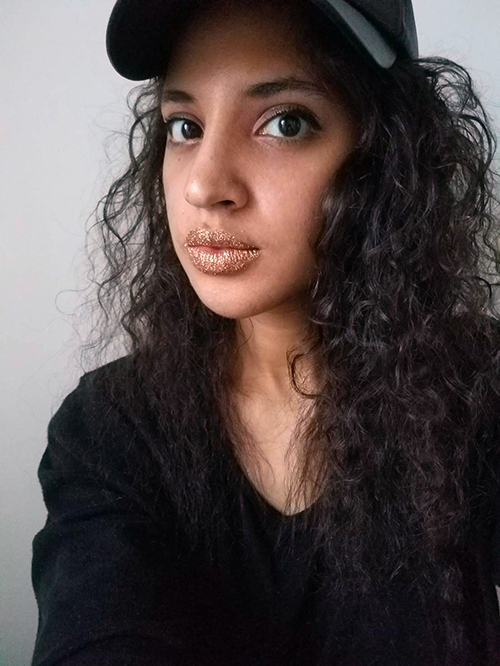 I tried the brand Violent Lips. The pattern is Very Berry Glitteratti. According to the package, the tattoo can last for up to 8 hours, though I didn’t put it to the test as I was doing two makeup looks in one day. Violent Lips has lots of pattern, including cheetah and snake skin, so there is something for all your Halloween needs. The glitteratti pattern is an ombre purple to pink hue. 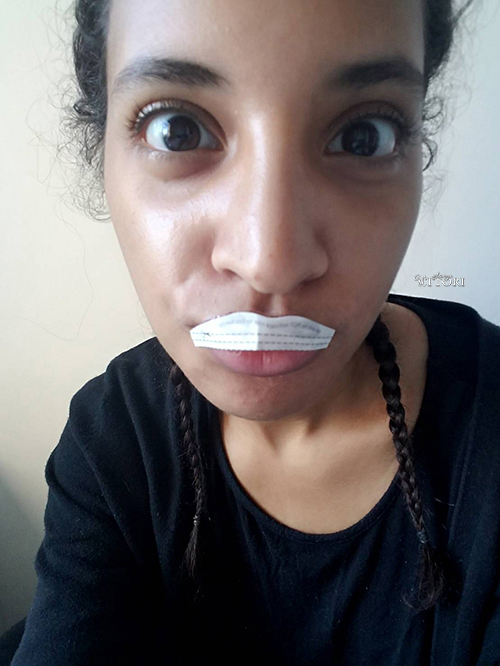 It was my first time trying a lip tattoo, though I have read reviews of similar products. 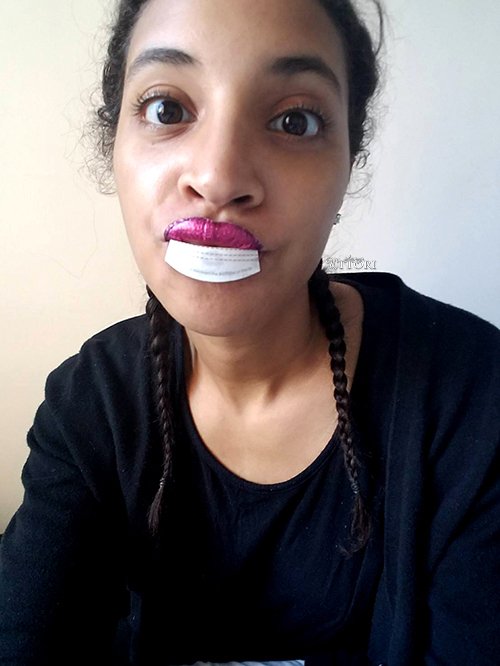 For the makeup illiterate, a lip tattoo seems like a no-brainer, and for the lazy girl in all of us, yes, please! Quick and easy application, all you need are scissors to cut the tattoo to fit your lips, and a damp cloth for applying the tattoo to your lips. For only taking about 5 minutes to apply, it looks like it took 20 minutes to achieve. The pattern is clear, vibrant, and doesn’t look like a tattoo. The tattoo dries out a little bit and begins to peel away from the lip, I had to get it damp a few times with a wet cloth to lay the edges down again. While the package says it fits all lips, in reality, it’s hard to get it to fit the shape of the lip especially in the corners. I had to use extra lipstick to mask the fact that it didn’t reach the corners completely. It’s a little sticky when on, and the tattoos can get stuck to each other when your mouth is closed. The tattoo is firm, which makes it slightly hard to smile, but it’s not bad, and the firmness is good because it prevents cracking of the tattoo. As for the makeup look, I had only a limited supply of makeup because I’m currently in Hong Kong and don’t have my full supply of makeup (which isn’t that big anyway). To finish blending in the tattoo with the corners of my lips, I used Lime Crime Velvetine in the color Fetish. For the eyes, I used Laura Mercier Rosegold Caviar stick eye color under the eyebrows and Lime Crime’s Velvetine in the color Wicked (yeah it’s a lipstick). 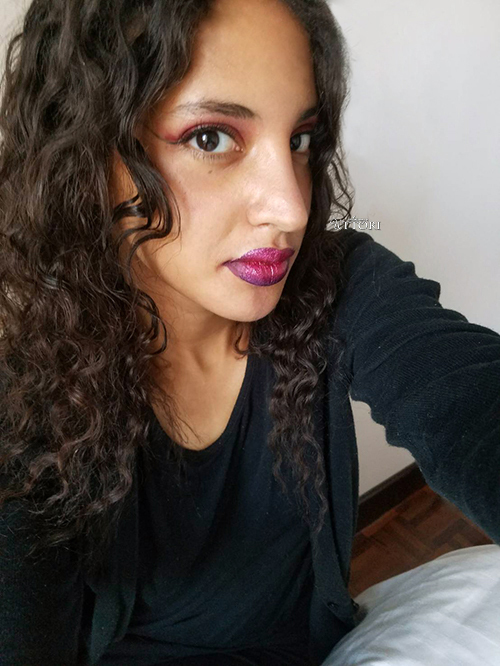 I used my finger to blend over my eye and the lipstick applicator to deepen the winged red tip. I used Julep’s fluid eye glider for the eyeliner then gently dragged a damp cloth over it to create the exaggerated winged look. I finished the eyes with It Superhero mascara. And to complete the look I used Tre Stique Maldives Luminescent Highlight stick to highlight my nose and cheeks. Overall it took about 15 minutes and, turned out fairly well in my opinion, especially since I “winged” it. For the lazy girl, a lip tattoo takes a lot of work out of an overall makeup look. If you can find a pattern to match your costume, or just want to look like you put some effort in, while keeping it minimal, this is the ultimate lazy girl tool. 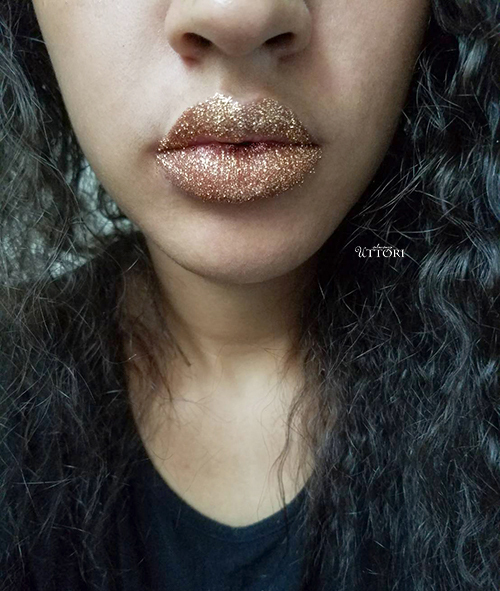 The second lazy girl product I tried was by the brand Glitter Lips. It’s perfect for lazy girls. This is a bit more intensive than the tattoos because you have to apply the glitter yourself and, as we all know, glitter gets everywhere. My INTJ girl lazy tip is to be sure to apply over a trash bin and save yourself cleanup time. Despite the potential for major mess, it was a fairly hassle proof application and created my favorite look of the two. 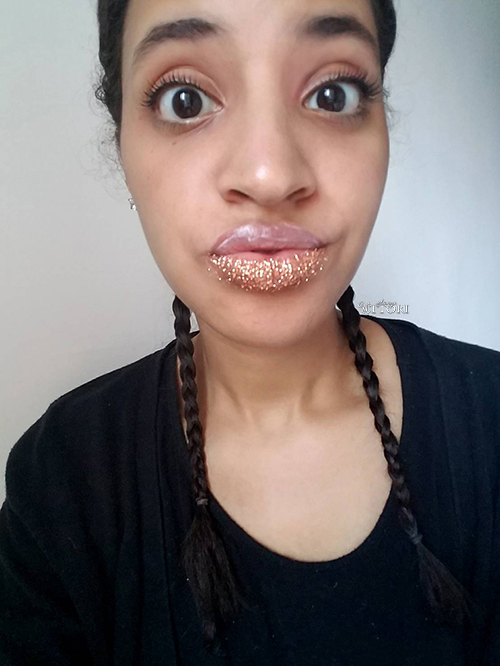 I thought the glitter would be messy, but it was pretty easy to apply and, for the most part, only stuck to where you used the “lip gloss” glue. Good coverage, I was worried the glitter would be spotty without any lipstick on underneath. The application lip gloss is literally glue, or at least smells exactly like glue, which is a little alarming at first. 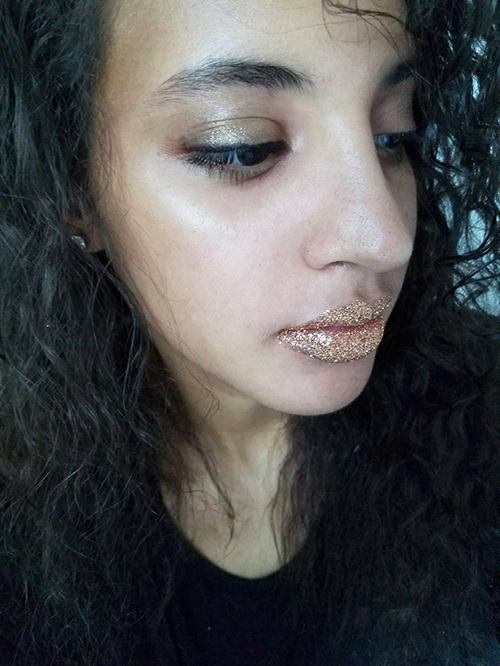 Glitter gets into your mouth more easily, so it may not be great to eat with, although the glitter is cosmetic grade which means it’s safe for humans. The glitter was removed easily after use, but it was a little difficult to remove the residue from the glue. I had to work at it for a few minutes before I could get it all off. 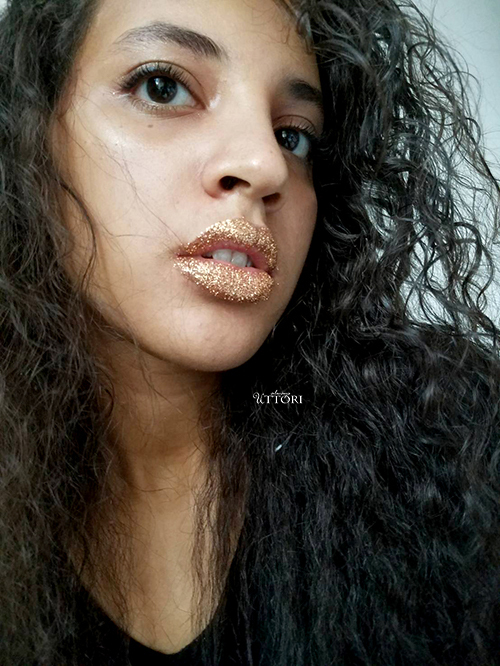 After applying the glitter to my lips, I used Laura Mercier Rosegold caviar stick eye color under the eyebrows, and Laura Mercier baked eye color in Black Karat over my eyelids. I used my fingers to blend. I lightly smudged Marc Jacobs High-liner Gel Crayon on the upper corners of my eyes to give a more smoky look. I then used It Superhero mascara. For blush, I used a small dab of Bare Minerals Swag Matte lip color. Overall, this look took about 15 minutes to complete. The lips took a little longer to apply because the glue had to dry before applying the glitter. However, the eye look was easier to accomplish, and I made up for time in that area. While the lips are bold, the more natural eye keeps this look from being overbearing. While this product seems to require more maintenance. I think, in some ways, it was a little easier to apply than the tattoo. It wasn’t as restrictive as the tattoo, and also had a more subtle effect. This is perfect for the low-key lazy girl who likes a touch of sparkle, but prefers to keep it minimal. It shows effort, but also elegant restraint. What Are Your Lazy Girl Tips? Whatever route you go, elaborate, or low-key, we hope this lazy girl guide helps take some of the work out of your Halloween makeup needs. What are your lazy girl Halloween makeup tips? Share in the comments below!